Welcome to Lloyd Center Pharmacy! Following the retirement of Denise Burnham, founder of Creative Compounds Pharmacy in Wilsonville, all of us here at Lloyd Center Pharmacy are excited to get the opportunity to work with you. Denise has always cared deeply about quality compounding and in doing what is best for her patients. She loved her time at Creative Compounds because of all the wonderful relationships she was able to build with her patients and her staff over the years. When Denise was ready to retire, Lloyd Center Pharmacy was the only pharmacy in Portland that she trusted to take care of her patients the right way. She wanted to make sure that her patients would get the highest level of care, and would receive compounds that were made safely and accurately. 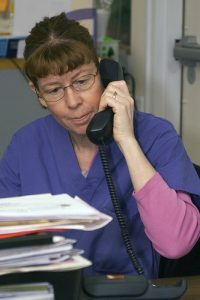 Lloyd Center Pharmacy was the only place she felt comfortable sending her patients. We are now assisting all Creative Compounds patients with your non-sterile compounded prescriptions. We’re happy to have you join our pharmacy! If you haven’t spoken to us yet about the transition, please feel free to give us a call. We have an awesome group of people that work here, and we can make the switch super easy for you. For convenience, Creative Compounds phone number forwards to our store. Don’t feel like driving in to Portland to get your prescription? We offer several affordable shipping options. We look forward to talking to you!